This book review originally appeared in Baltimore, Washington and Philadelphia SmartCEO Magazine May issue. Two of my absolutely least favorite marketing terms are: differentiate and brand. The reason I hate these words is because they are both results that a whole bunch of marketing agencies and advisory firms turned into means so they could both make the process insanely complicated and therefore charge ridiculous fees for it. My distaste for these words is far more than merely semantics. My problem is that when companies focus on differentiation and/or branding, in the traditional sense, they are focusing on the wrong things. Both words cause you to focus either internally or on your competition; neither of which are effective for driving profitable growth in today's hyper-competitive times. I regularly advise CEOs to stop differentiating, and instead just be different. In working with thousands of small and mid-market companies (and studying thousands more companies) I've observed that the only companies that spend significant time on differentiation strategies are the ones that aren't different. Think about it. If your business is different, how difficult should it be for someone to realize that? How hard should you have to work to “differentiate”? Companies that are different are differentiated, those that aren’t – are not. In my experience, I’ve seen what happens when differentiation becomes the focus of company executives. They stop focusing on the critical questions about their customers and what really matters to them. Without meaning to, they commit the very sin they were trying to avoid – they start feeling and acting just like every other company. They quickly become what I call a “Me-Too” company. Don’t get me started on branding (okay, too late). The biggest myth in marketing is the idea that businesses can brand themselves or control their brand – they can’t! Business don’t control their brands, their customers do! The problem with branding is very similar to the problem I have with differentiation – the questions branding leads executives to answering are bad questions. Branding isn’t something companies do to their customers; it’s something customers do to businesses. It’s not about telling your story; it’s about having our stories understood. Branding isn’t about logo’s, brochures, ad slicks, and any of the other trivial things that businesses do in an effort to “re-brand.” Rather, it’s about ensuring that that what your business is, is what it is supposed to be. It’s about delighting your customers and creating meaningful experiences for everyone that comes in contact with you. Far more than merely being liked, branding is about being valued. If Not Differentiating or Branding, Then What? For the last five years I’ve been sharing my discovery about the fundamental difference between great companies and non-great companies. I’ve learned that great companies have mastered five simple rules that others have either ignored or failed to master. I call these The Five Unbreakable Rules for Creating Demand. Summarized these rules state that the key to creating a great company (and anyone can do this) is to focus – manically – on who your customer is and how can you delight them. Great companies know who their customer is – and who they are not. They never confuse the two. When you are delighting your customers, you don’t have to worry about differentiating anything – your customers will take care of that for you. There is probably no greater example of how to do this than Apple. In the 3 Acts of Apple they have delighted a core group of customers so deeply that they achieved a cult-like status, they’ve failed to delight customers and nearly went bankrupt, and in Act 3 they returned to delighting customers and are the single best performing company in the last 15 years. While I try not to review the most popular books in the business space in this column and instead try to highlight authors and books that readers of SmartCEO may not be as familiar with, I’ve decided to make an exception. Guy Kawasaki was there for Apple’s first act, heck, he was Apple’s Chief Evangelist. Since he left Apple he’s been delighting a core group of customers. 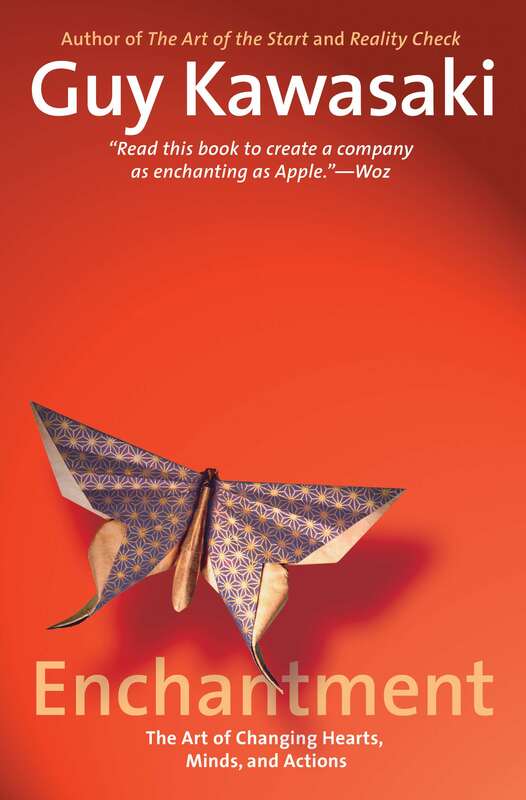 He newest book Enchantment: The Art of Changing Hearts, Minds and Actions is an absolute must read for anybody in business. From their first sentences in Chapter 1, “The world will not beat a path to your door for an insanely great mousetrap. In fact, the greater the mousetrap, the more difficult it is to get people to embrace it …” Kawasaki enchants readers with simple how-to’s to stand out, resonate and build great businesses. So stop differentiating and start enchanting.